Muddy says: Is it a fashion boutique, is it a beauty salon? 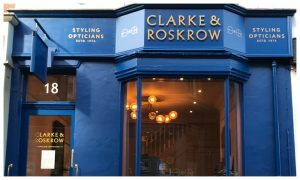 No - it's Clarke and Roskrow one of the most stylish and contemporary optometry practices you'll ever come across. Muddy says: Who needs Mary Poppins when you've got a professional organiser and decluttering expert to sort your home and life.